Hopefully all our berth holders and customers have enjoyed the long, hot summer we have experienced this year and have managed to make the most of being out and about on the water. As autumn approaches, we would like to keep you up to date about our activities, both past and present, and to let you know about our plans for the months ahead. Below are some of the lovely craft we have been working on recently. 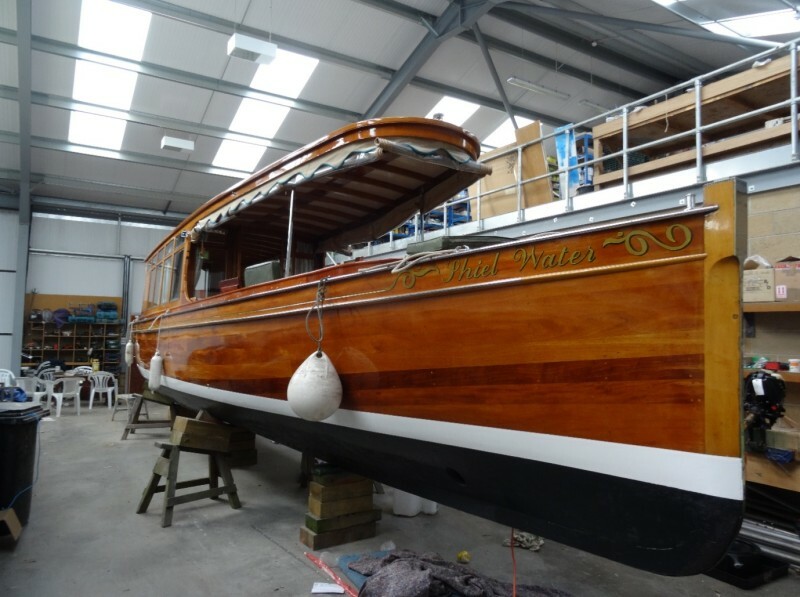 Shiel Water: In April this 38-ft wooden electric launch was transported up from the Thames, for a full paint, varnish and repairs. It was the third time she has made the journey up to Norfolk for maintenance, so her owners obviously think it is worth the trip! When the work was completed, she was launched here for testing, which also allowed her owners to explore the Norfolk Broads before she was craned onto a lorry and transported back to her home on The Thames. 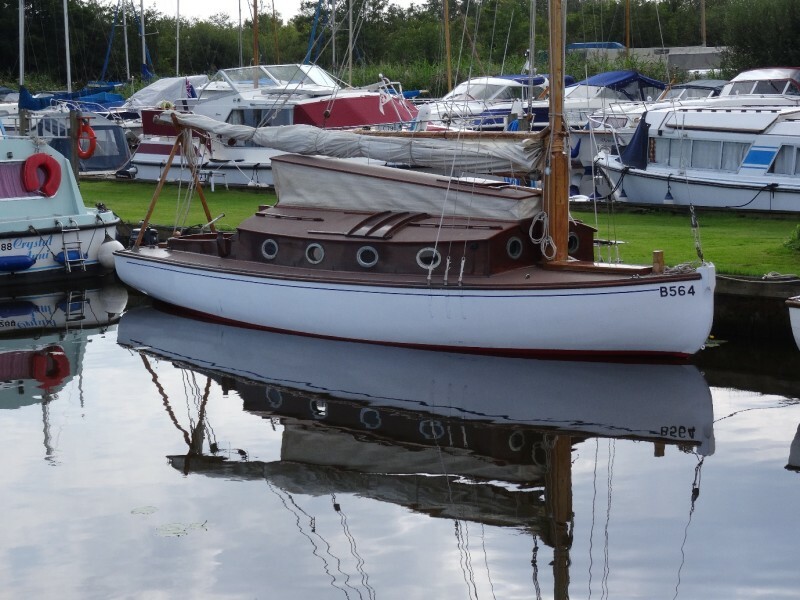 Kenmure: This craft (pictured on the next page at her Cox’s Marina moorings) had been in the workshop for nearly two years and during that time our team of craftsmen totally re-planked a new keel for her. 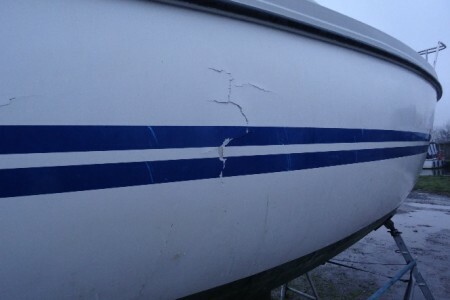 She was also epoxy coated and was successfully relaunched in early August, much to the owners’ delight. Pegasus 800: This craft had been in the wars, having been blown over in another marina in high winds during the winter of 2017/2018. We temporarily sealed up the holes and cracks there, before launching her and then towing her here by water and craning her out. 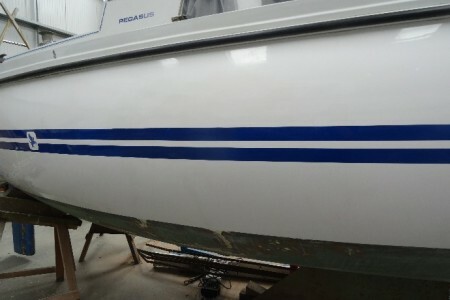 We then went about repairing her and matching up the gel coat, which was not straightforward as the inside of the craft was lined with an internal liner. However, everything went to plan, and she is now in top condition and being launched very soon. Travel Hoist: We are looking forward to the arrival of a new travel hoist in mid-September and have been busy completing the groundwork to accommodate it. Once the new hoist is in situ it will work alongside our existing boat mover and we will be able to lift boats ranging from 8 feet to 70 feet in length, and weighing between 100kg and 35,000kg. Using a combination of the new hoist and the existing transporter will make it much safer and gentler for boats, and we will also be able to train more employees to lift craft and move them about. We will also be purchasing a telehandler with a number of attachments to help move trailers around, so that we can store more items on pallets. Health and Safety: With the arrival of the new travel hoist and new open edges of the quay heading, please be vigilant and observe the extra safety signs and plans we have erected. Car parking: New car parking rules apply from Monday 1st October 2018, so please ensure you follow them. From Mondays to Fridays you can park in the pink area shown below at any time. On Saturdays and Sundays, you can park in the pink and green areas, but please ensure that all vehicles are not left in the green area overnight into Monday morning, otherwise a fee will be charged for their removal. 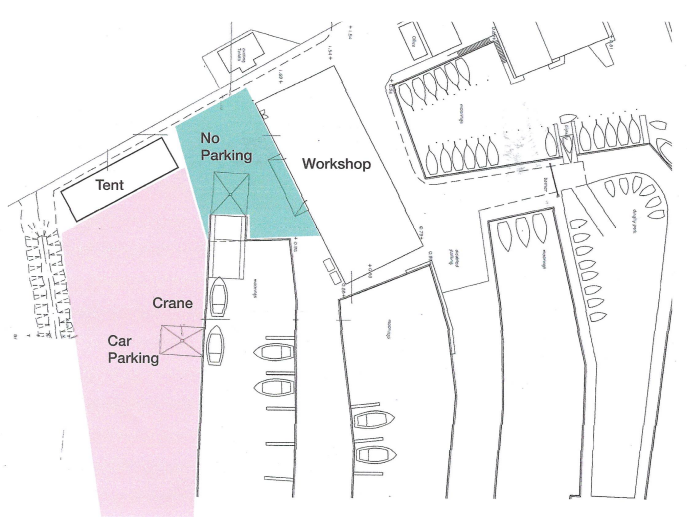 There is still the disabled parking area on the north side of the workshop and the temporary parking by the dinghy park to unload and load your cars. Office: As part of our development plan and in order to fulfil planning requirements, the external walls of the office building have been insulated with cladding and a pitched roof installed. Our own craftsmen completed all the work in-house, with the new roof being constructed in the workshop and then lifted on and fixed down. This work has really tidied up the office and helped it blend into the whole yard’s development. Electric Points and Water Points: We apologise that some customers have not had water or power for part of the summer due to the ground work being carried out, but we are now working towards getting these points reconnected and we are also adding some new ones. Winter is Coming: We have started planning the craning out of vessels and the winter work schedule, so it would be really helpful if you could complete the attached form and send it back as soon as possible please. Boat Safety Scheme: As you have probably heard, the Boat Safety Scheme, which is run by the Canal & River Trust and the Environment Agency, has proposed mandatory new BSS requirements that will see checks introduced for suitable carbon monoxide alarms in good condition and in suitable locations on all classes of boat with accommodation spaces. A carbon monoxide alarm on each craft should be a ‘must’ anyway, so if you do not have one and would like us to fit one, please let us know. It could save your life. Customer Satisfaction Forms: I would like to thank the customers who take the time to fill in our questionnaires and return them to us. We appreciate the many kind comments and we also endeavour to respond quickly to any problems or issues raised. Mooring Fees: There will be a small increase from 1st April 2019 to £45.00 per foot per year, plus VAT. It just leaves me to thank you and to express the hope that you enjoy the rest of the late summer/early autumn, no matter what the weather! We really have been spoiled so far!